The goal of this project is to simulate a small oil spill in the Chukchi Sea in order to test the ability of currently available observational technologies and web-based GIS tools to provide real time data and maps to response agencies. 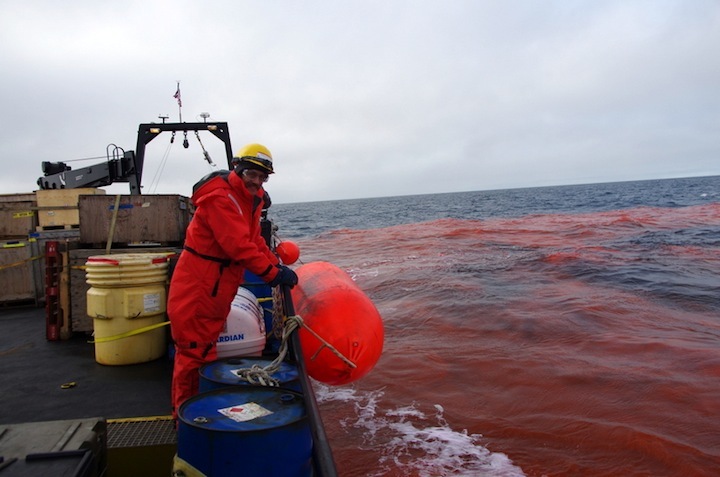 We will perform a series of dye release experiments during the ice-free seasons of 2014 and 2015, and sample the resulting plumes with satellite-tracked surface drifters, AUV gliders, an Acrobat towed vehicle, extended-range high frequency radar, and a VMP-250 vertical microstructure profiler. 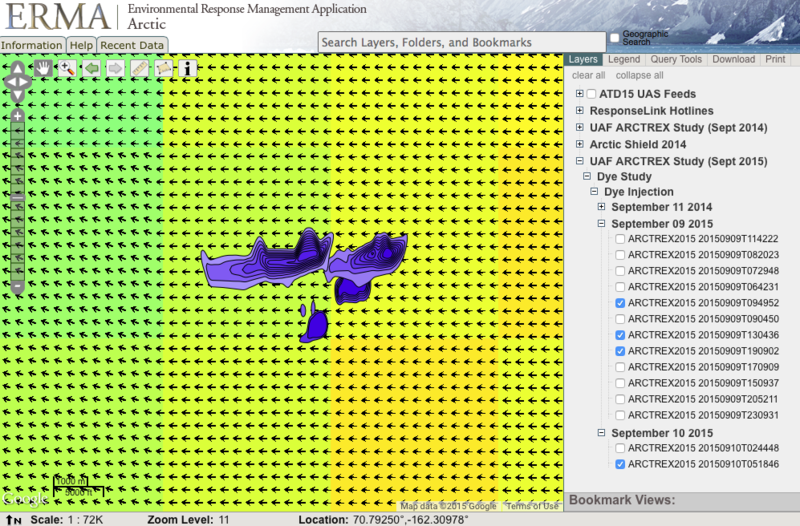 Data will then be ingested into NOAA's Environmental Response Management Application ERMA (Arctic ERMA) for inclusion in their web-based mapping tool. The Arctic Tracer Release Experiment has ended. Read the final report for insight into the enviormental conditions present during the field years in 2014 and 2015, and performance of the suite of instruments we deployed. During this experiment, data was mapped by NOAA's Arctic ERMA, and as of 2017, it was still available via their website. copyright © 2010 art lab | Last modified: April 25 2018 00:14:51.